ISLAND FUN at its BEST!!! 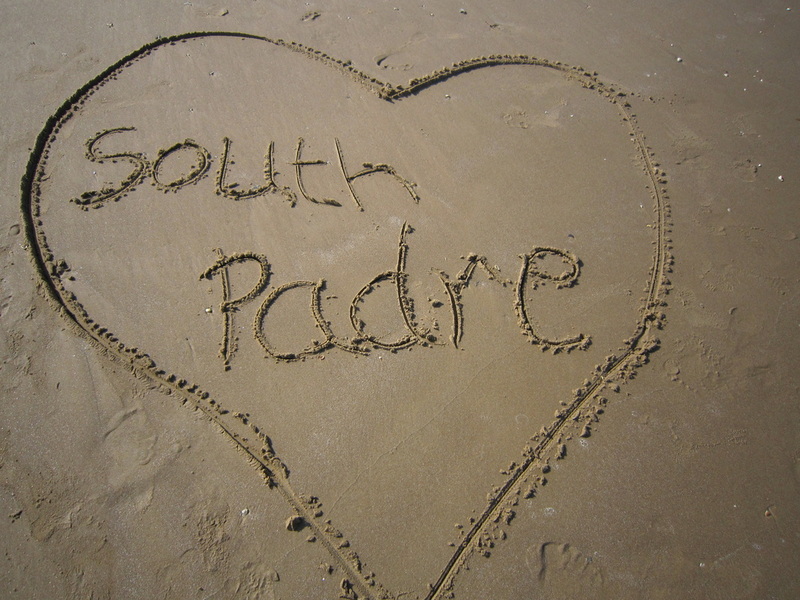 SOuth PAdre is a beautiful, exciting island, part of the United States, south end of state of Texas. It is connected via a 2 mile long bridge, hwy 100 or Queens Isabella Causeway. The Mexican border is just an 45min drive from the island, west of Brownsville city. The closest Mexican city across the border is Matamoros. The island is elongated with beaches on right side & Laguna Madre bay on its left side. Spring is the busiest season due to college crowd so its better to avoid this time. 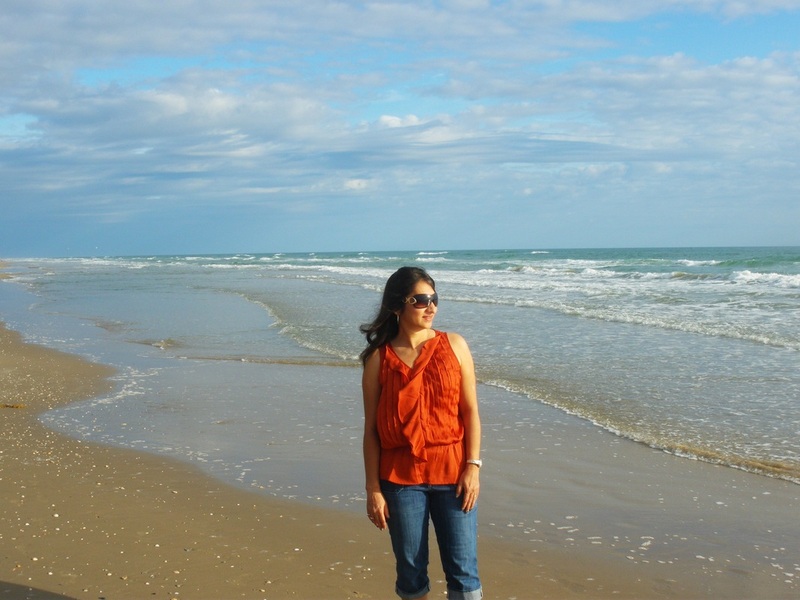 Best time is Sept-Nov. when weather is comfortable to roam around (70-80*F); the roads & beaches are free of crowds. Also, get best deals on hotels, water sports etc at this time. Boat Tours are a wonderful way to enjoy sailing in the Gulf of Mexico & see dolphins & birds in action!! 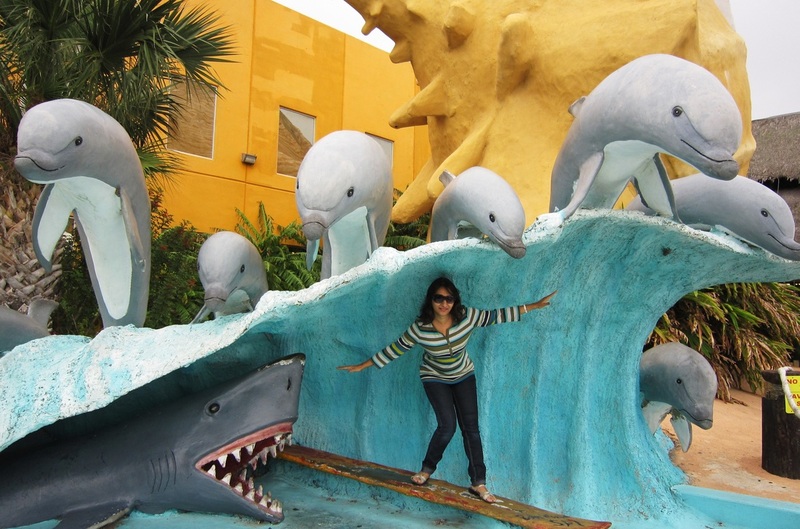 Take the Dolphin watch tour & Enjoy the Dolphins in wild action!! Best Tours are by Breakaway Cruises & Sea Ranch Marina "the original dolphin watch"
Tours are 2hrs long & cost from $10-$18 depending on season & time. Tip: Talk to them on the phone instead of purchasing online & they may reserve your tour under your name with same online price, thus saving you from the risk of losing your money if you couldn't make it. 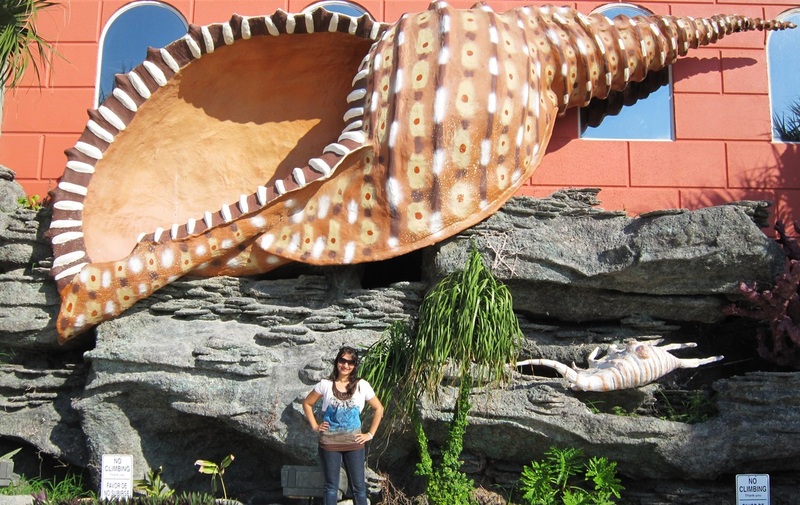 ENJOY WONDERFUL SEA LIFE CREATIONS outside of a huge store, as you drive along on your way to the island. Its a must visit. 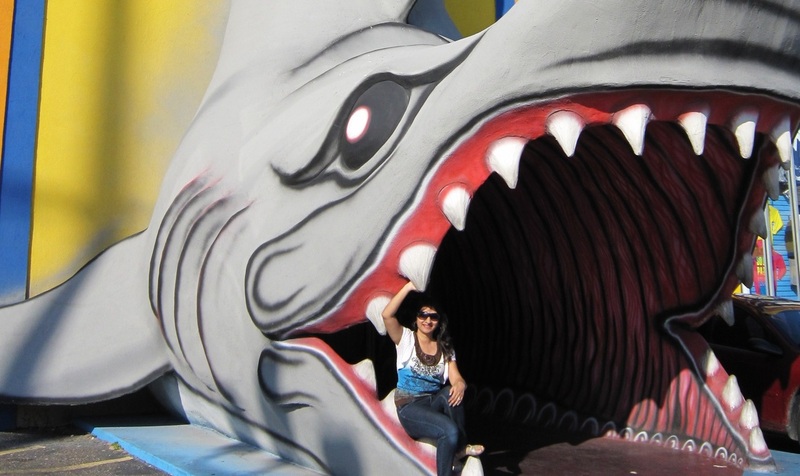 They have a kind of adventure park too with entry ticket through their gift store. We just clicked many pics of all the aquatic life forms. An hrs drive from the center of the island, across the laguna, See wildlife especially birds; alligators, ocelots & deers if lucky....the Boardwalk as shown below lets you walk safely all over the laguna & see alligators, crabs & other sea animals. If you love nature, then this is the place for you!!! Go para-sailing & enjoy terrific views of the island & feel the sea breeze in your hair!! Many tour companies offer exciting water adventure activities like banana boat ride & snorkeling, sunset/dolphin watch boat ride, surfing, waverunners etc. Isla BLANCA PARK: on south end of the island. Enjoy sandy white beach, birds, Jesus Christ statue, & fishing. 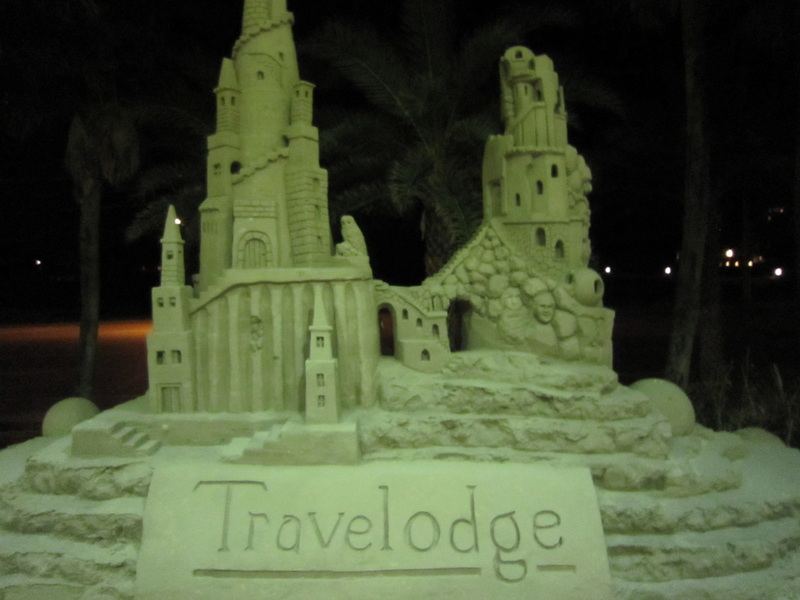 Enjoy white sandy dunes at beach access #5 or #6 on north side of the island strip. Take your cars on the beach & drive along the waves. Note: Be careful when parking on sand as the cars can get stuck & not budge leaving you stranded, waiting for some truck to haul you out!! The beauty of the island begged me to stay there. Feeling the soft sand melt away & sea waves washing my feet!!! Most wonderful experience. Beautiful sunset (if sky is clear) on Laguna Madre Bay side (left of island) not on the beaches side; however, you can go to Beach #5 or #6 , climb up the white soft dunes & get the perfect view of sun setting in the west side of island, just like we did. Below is the picture taken from atop of a dune on beach #5. Due to hazy sky we could not see the full sunset but colors were wonderful. Do you want to feel the soft white sand melt away at your feet, hear the sea birds, smell the sea waves, watch the sunset, climb up the sand dunes, go horse riding or driving on the beach, watch wildlife & go para-sailing or Dolphin watching in the Gulf of Mexico....then here is the most beautiful island where you can do it all, in just a few days time. Here are some fascinating pictures of my trip to this beautiful island!! Guys if anyone has been here, do write back & let me know about exciting stuff you did! !